Good brushes can change your makeup application for the better; they can make applying, blending, buffing and contouring that much easier, basically making the brush do all the work for you. 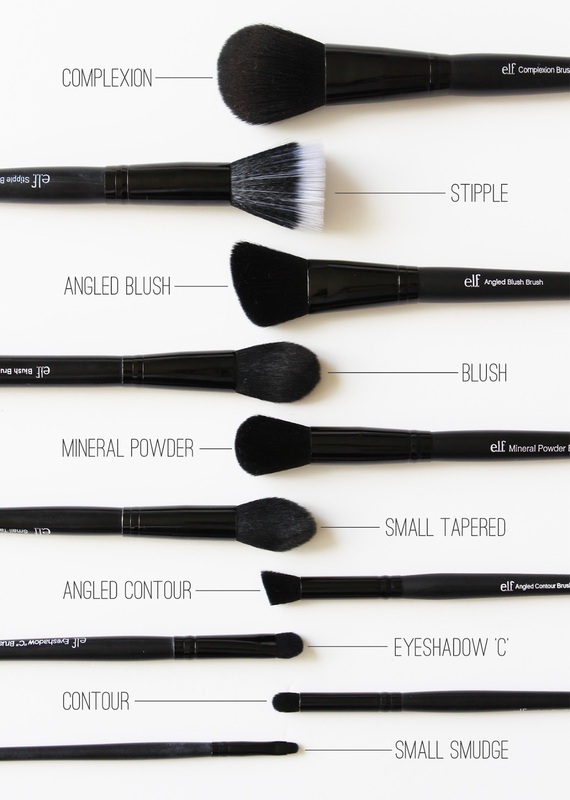 You can definitely fork out a lot on brushes, and often times it's necessary to get great quality brushes, but if you're on a budget, or just want to buy a few extra brushes to have, look no further than the e.l.f. [eyeslipsface] Studio Brushes. I think it was over a year ago that I bought my first e.l.f. Studio brush from Beauty Joint, and after using that one for the first time I knew I was going to be buying a lot more. High quality, but cheap brushes are hard to come by; Real Techniques have definitely filled a gap in that regard, but these brushes come in at the crazy price of USD $3.00 each (NZD $4.00) and you'd be surprised by the quality. These brushes are very soft, made from taklon (synthetic fibres), so they can be used on cream or powder products with ease. I have had absolutely no bristles shed from the brushes I have, even the ones I've had for over a year now are still looking good as new. They wash up extremely well and I've noticed that none of them have lost their shape. 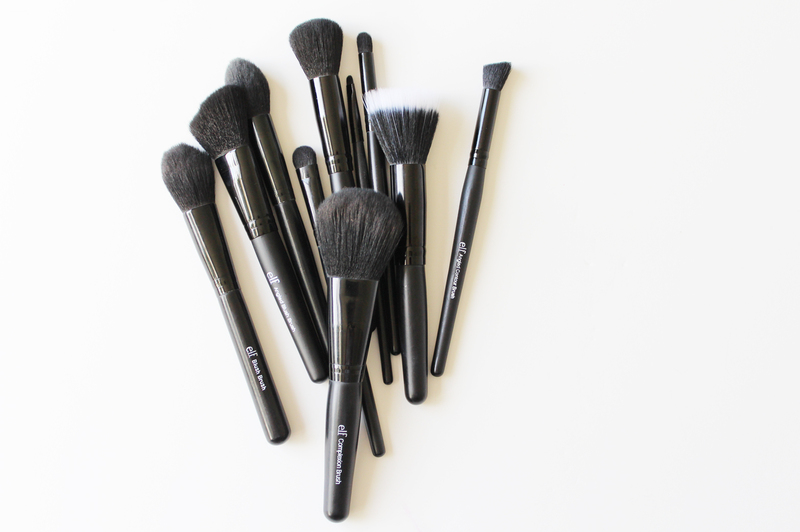 The other plus is the large selection of various brushes, and you can buy each one individually instead of having to commit to a full set (although they do have them in brush sets). COMPLEXION | One of the largest brushes from the Studio line, this one is great for powder, or for bronzer which is what I use it for everyday. STIPPLE | This one is a must for cream products and is one I reach for to use with cream blushes. 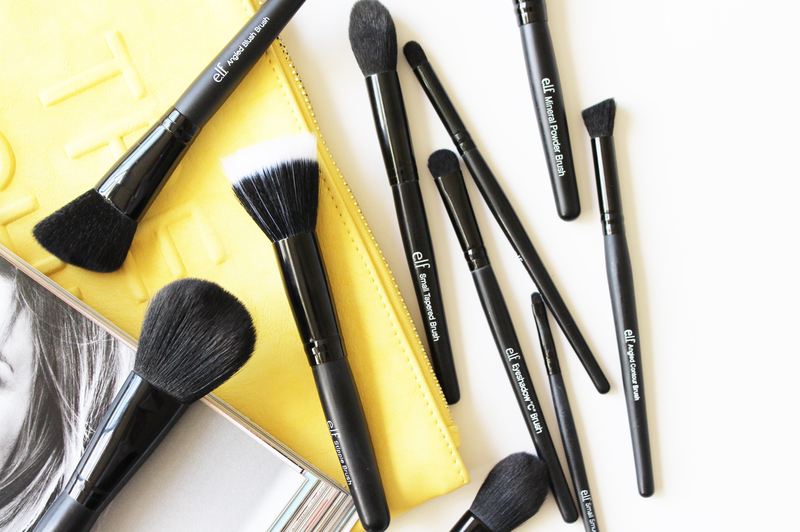 It is duo-fibre, so the longer white bristles pick up the product, and the denser black bristles help to blend it out. BLUSH | I break all the rules on this one, because personally I find this too small for blush application, instead I've been using this for months on end as my designated contour brush. I find the tapered top means you can get quite a precise chisel going on, while also helping it to blend the contour colour out. 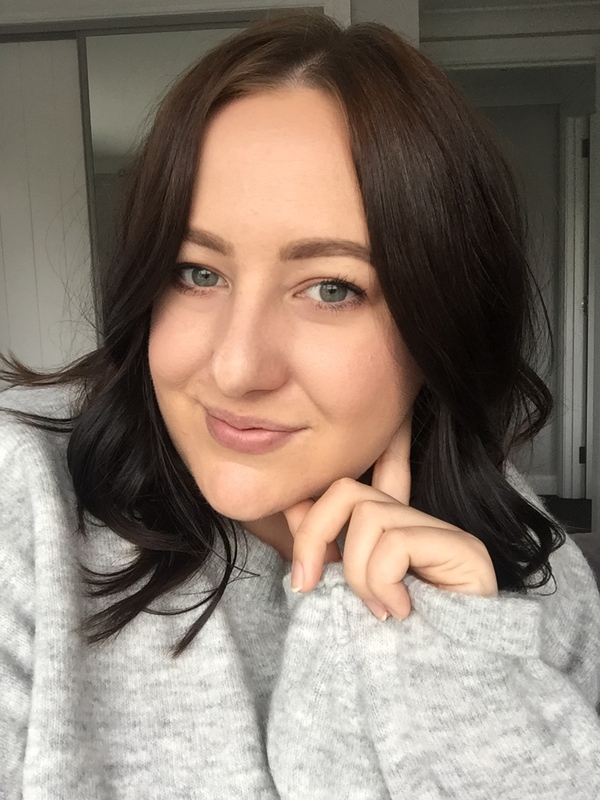 MINERAL POWDER | I don't have a brush quite like this one in my collection and I was drawn to it for it's small domed shaped. I find this a good one for buffing concealer into the skin, and it's great with loose powders. SMALL TAPERED | This is a great one for setting the under eye concealer with powder, as it is small enough to get into the corner of the eye, but also large enough that it blends everything out well too. This would also be great for highlighter. ANGLED CONTOUR | A new addition into my brush stash is this one here, it's almost like the Angled Blush but in eye form. It's great for getting one colour all over the lid and helps to blend it out at the same time. EYESHADOW 'C' | The perfect packing brush; the bristles are short and dense so it picks up ample product allows you to really pack on colour onto the lids. This is a good one to use with pigments and loose shadows with a spritz of setting spray or water on it. CONTOUR | Not for contouring the face, but meant for the eye area, I use this one a lot and find it is really good for putting highlighter in the inner corner of the eye and on the brow bone. It is also great for getting some definition into the crease due to the rounded pencil shape. SMALL SMUDGE | It does what it says on the handle, great for smudging eyeliner or shadows along the lash lines. If you're after some new brushes I seriously recommend checking these ones out, I mean buying one at $3, isn't going to break the bank! Alternatively if you want to get a good set, the Studio Brush Set here comes with 11 brushes from the line for USD $29.99, including a lot of the ones I have. You can find them for USD $3.00 each via. iHerb (they have really well priced international shipping) and Beauty Joint for USD $3.99 each (also relatively good shipping, but is based on weight). Have you got any of these brushes? What one's are your favourites?